Kavya Needs A Surgery To Pass Motion For The First Time. Kavya was a long desired child to her parents- born after nearly 17 years of marriage. She is 2.5 years old and has already undergone two colostomy surgeries. 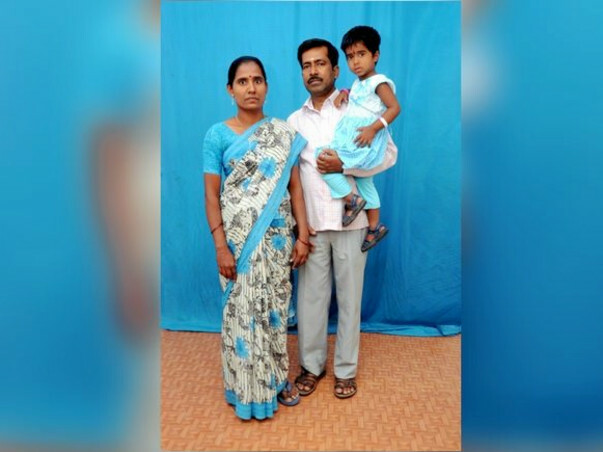 Her parents Padma and Anandan, are desperate to save their baby girl. When Kavya was born, her parents held her only for one day before she had to be admitted in the NICU- where she spent 25 days. Her inability to pass motion meant that she had to undergo an operation at birth- and another one 8 months later. Padma says that they visited multiple hospitals. 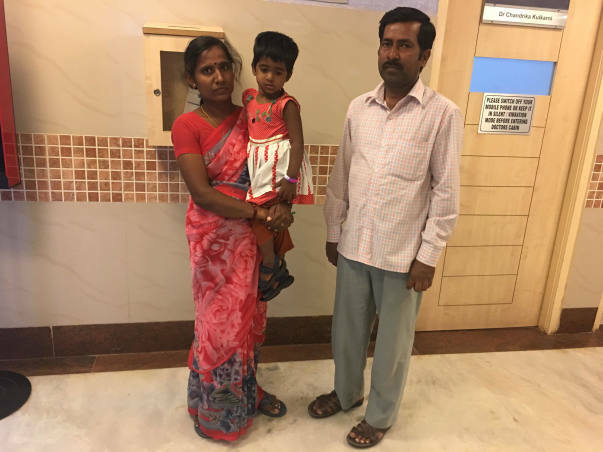 At Dharmapuri Medical College, the doctors would admit baby Kavya, and not feed her for a long time. At the smallest sign of improvement, she would be discharged and sent home. The vomiting did not stop and Kavya’s stomach would swell as she could not pass motion. Her parents rushed her to Narayana Hrudayalaya. 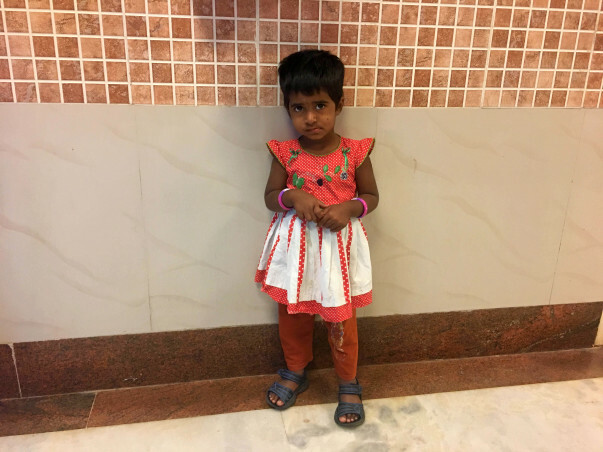 Doctors there performed a biopsy and declared surgery as the only option to save Kavya. Anandan works as a daily wage labourer and Padma is a housewife. They have spent their entire savings trying to get their daughter treated. They have a son- 15 year-old Thendralvasan, who studies in 9th standard. 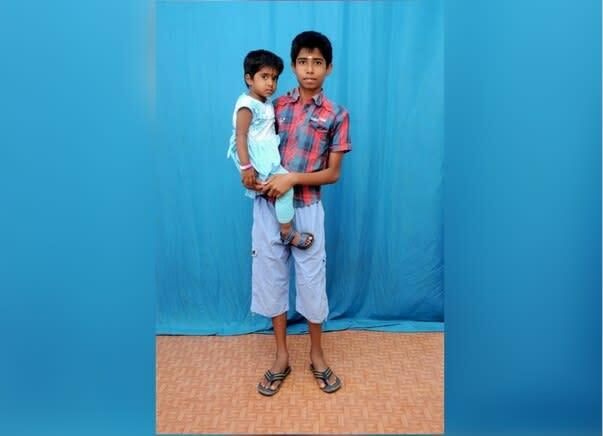 He loves playing with his younger sister and is very worried about her health. 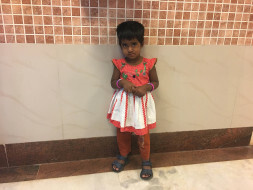 Baby Kavya now needs a third surgery urgently- colostomy closure. The family visits Narayana Hrudayalaya frequently for her treatment. They are distraught at the suffering their child is undergoing. Your contribution can help the smile remain on Kavya’s face. Help this baby girl get well again! We have some good news to share with you today. 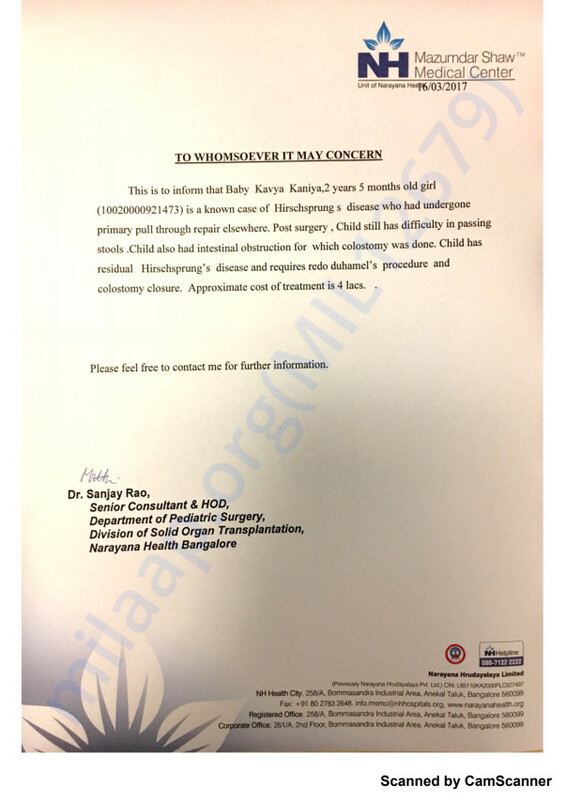 The surgery was performed on 27th July. She came back to the hospital yesterday for a follow-up. She had a minor bleeding and the doctors have administered her treatment for the same. The doctors suggest that she will be needing another minor surgery after a month approximately to complete the procedure. Kavya can lead a normal life now all because of your support and blessings. The family does not have enough words to thank all the donors.